Your £5 Starter Box includes an Executive handle, razor cartridges for a month, and Dr. 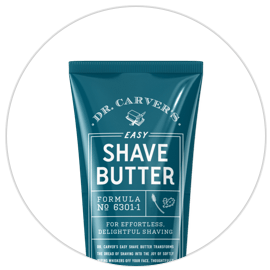 Carver's Shave Butter. 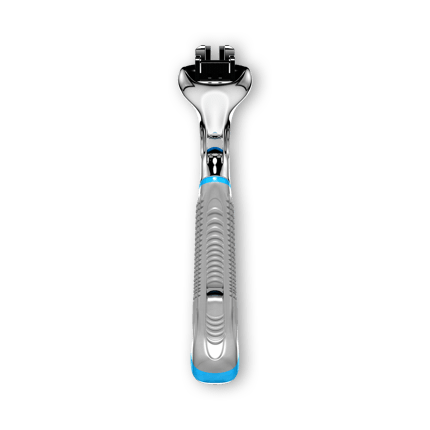 The Executive Razor 6 blades, Vitamin E & Lavender lubricating strip, & 90° pivot head. Starter box includes 4 razor cartridges & weighty handle. Dr. 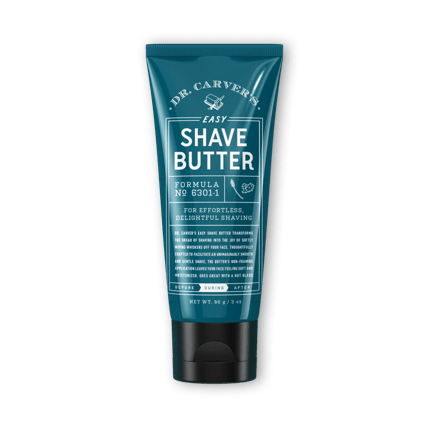 Carver's Shave Butter Transparent shave aid lets you see where you’re shaving as it softens skin and hair to allow for maximum razor glide. What Happens Next? After your starter box, we’ll ship you 4 razor cartridges for just £8 a month. Shipping is free & you can cancel anytime with a few clicks. The final frontier - it’s like a personal assistant for your face. Weighty and substantial, it feels great in the hand and looks sharp on the sink. 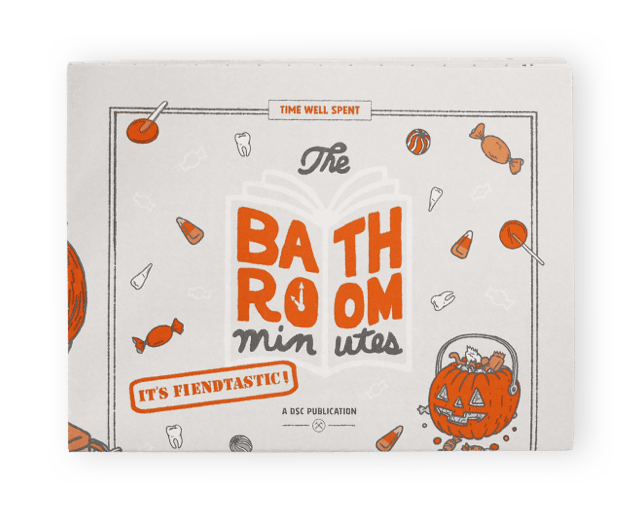 Our monthly printed magazine, The Bathroom Minutes, provides members stimulating insights, tips and timewasters. Doing for your mind what our products do for your body. 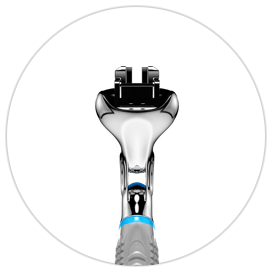 We’re on a mission to help our Members look, feel, and shave like a million pounds - without the hassle. Because when you look and feel your best, you can be your best. 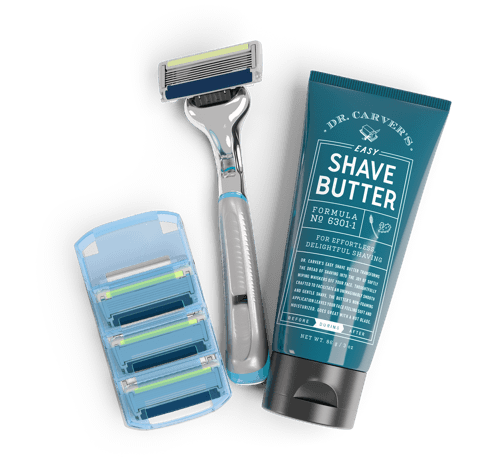 Your Starter Box includes an Executive handle and enough razor cartridges for a month. But that’s just the beginning of the fun. 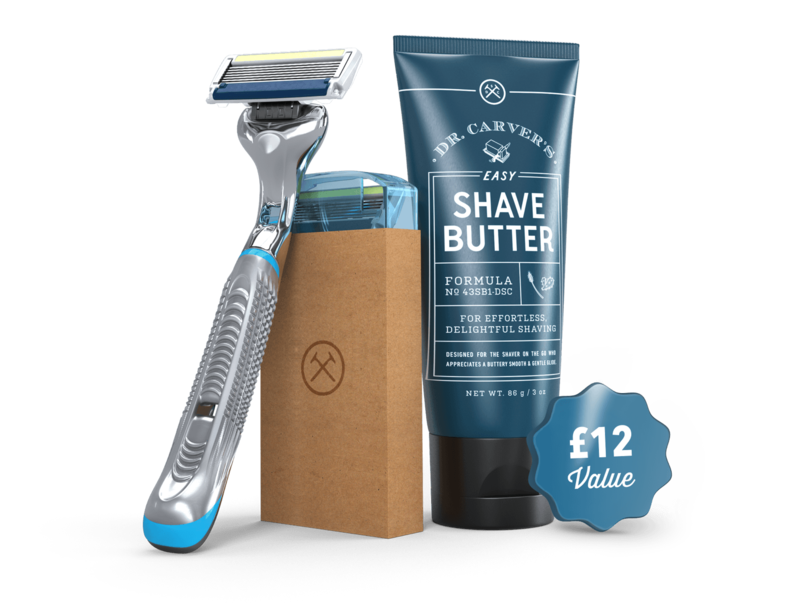 After your starter box, we’ll ship you a pack of razor cartridges for £8 a month. 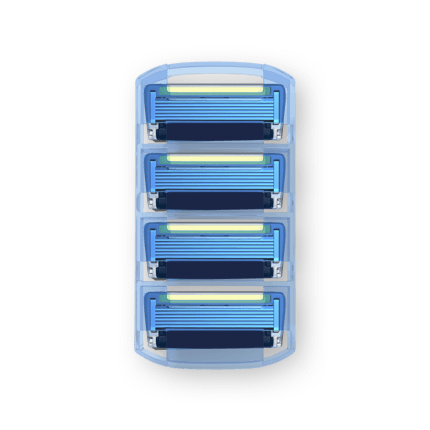 Go ahead, shave with a fresh blade anytime you want. No secret contracts. No long-term commitments. Adjust shipment schedule or cancel anytime with just a few clicks. We should probably make it harder. How does the starter box work? It's simple. 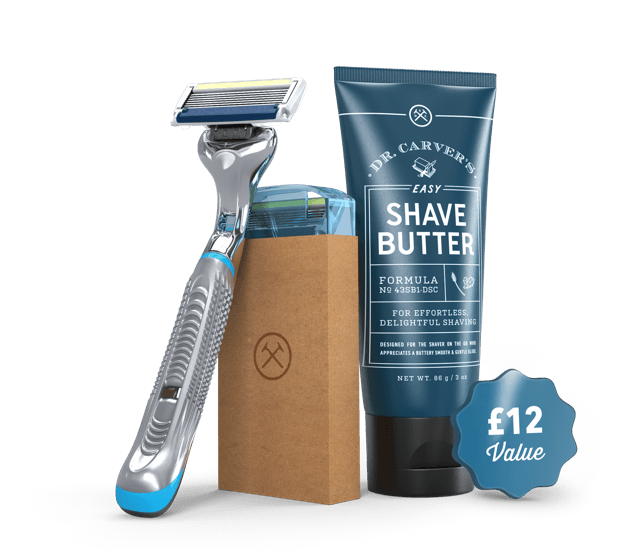 You pay £5 today, and we'll send you the DSC Starter Box which includes a reusable Executive handle, a full cassette of four Executive razor cartridges, and a 86 g. tube of Dr. 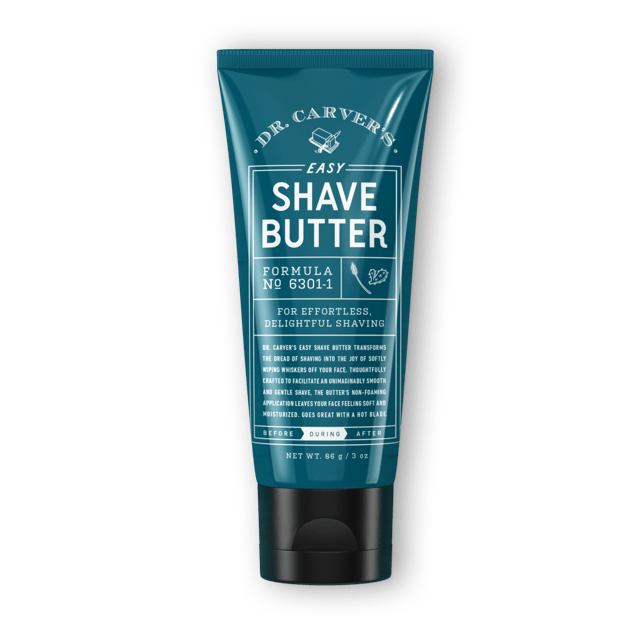 Carver's Shave Butter. Oh, and it ships free. After that, we'll ship you monthly razor cartridges for just £8 — also with free shipping. You can cancel anytime you want with just a few clicks. What happens after my starter box? Every month, we'll ship you a box with a full cassette of Executive razor cartridges for just £8. You can change to every other month delivery, pause for up to 3 months, or cancel anytime you want with a few clicks. How many blades will I receive per month? After your starter box, you'll receive a full cassette containing four replacement cartridges. What if I don't shave too often? No problem. Once you join the Club, you can change your delivery frequency to every other month. You can also skip a month anytime you want or pause deliveries for up to three months. Is it easy to cancel? You can cancel anytime, for any reason, with just a few clicks. We hope you'll stay, but we don't make it hard to leave. Not feeling the starter box and want just blades? 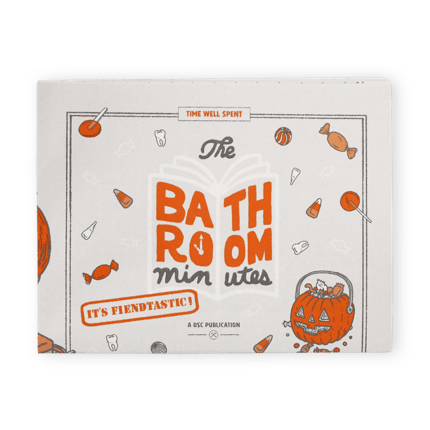 © Dollar Shave Club We're Hiring!